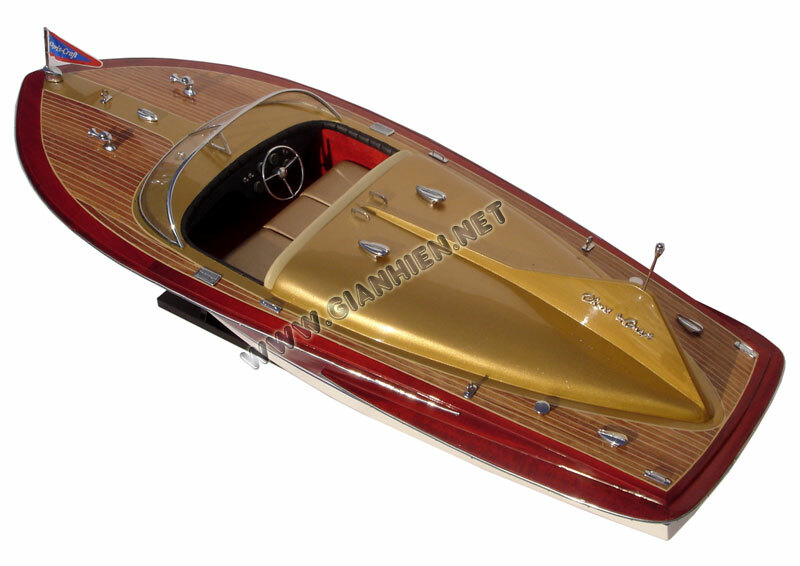 The Cobra was quite a styling departure for Chris-Craft, and people who worked for the company report that they lost money on each one because it was a difficult boat to build. This comes as no surprise to anyone who has done a major restoration on one. 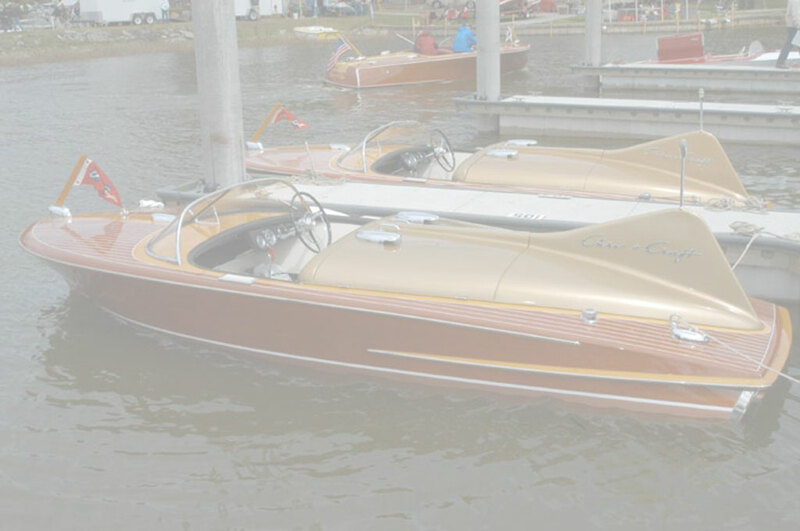 As a result, Chris-Craft did not carry the Cobra on even one more year, and only 56 of the longer 21’ model were ever made. 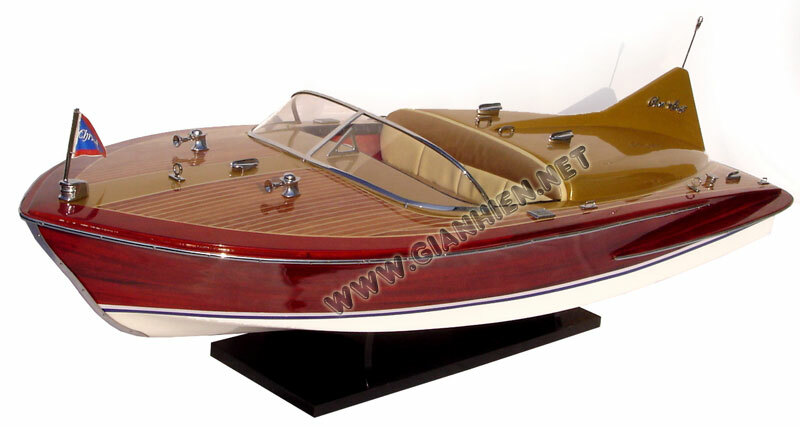 Because of their dramatic styling and low production, they’ve become sort of a cult boat... Our model is hand-crafted from hard wood with planks on frame. This model is not a kit and ready for display. All the metal fittings are brass and chromed. The hatches are able to open. How's amazing! This model Chris Craft Cobra the hull is white painted.